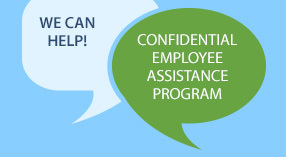 The Employee Assistance Program (EAP) is a free, confidential benefit that can help address personal or work-related issues faced by UCI faculty, staff, retirees and dependents at both the UCI Campus and UC Irvine Health. This service, staffed by experienced clinicians, is available 24 hours a day, seven days a week. A Guidance Resource Professional will help with problem identification, assessment and referral to treatment providers and community resources. As of July 1, 2015, this program is administered by ComPsych Guidance Resources. Guidance Resources is available 24 hours a day, 365 days a year for both crisis and non-crisis circumstances. You will speak to a master’s or doctoral level EAP professional, who will guide you to the appropriate services you require. The Coordinator of Faculty & Staff Mental Health Care and Respondent Services at UCI provides onsite consultative services & support to resolve behavioral health issues, serves as a primary crisis intervention resource to facilitate and coordinate appropriate resources, provides time-limited case management for individual employees, and develops and implements instructional training & materials to assist in the promotion of mental well-being for all UCI and UC Irvine Health faculty & staff. By appointment only. Please call or email first. If it is a life threatening emergency/crisis please contact police by dialing 9-1-1. For afterhours non-emergencies please contact Guidance Resources EAP directly at 844-824-3273. UCI CARE provides free and confidential support services to members of the UCI community impacted by sexual assault, relationship abuse, family violence, and/or stalking. Faculty and staff can access Advocacy services, including: Answering questions; Facilitating referrals; Prividing resources; Clarifying information about rights and reporting options; Accompainment in legal, Title IX, or medical meetings; Safety planning; Housing and employment support.